× Attention! Dear registered participants, please check your spam folder in case you have not recieved e-mail with the notification of your application acceptance (sent on April 4). 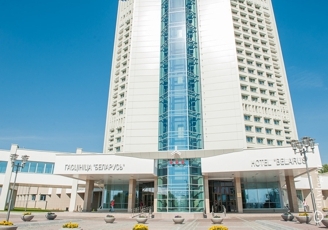 XVI International Conference on Quantum Optics and Quantum Information organized by National Academy of Sciences of Belarus, B.I.Stepanov Institute of Physics of NAS of Belarus, and Belarusian Physical Society will be held on May 13-17, 2019 in the city of Minsk on the base of Presidium of NAS of Belarus and Hotel “Belarus”. General idea of the conference is to bring together scientists and engineers from different fields (optics, atomic and molecular physics, solid state physics, computer science) which actively contribute to the field of Quantum Optics and Quantum information. TThe traditional style for this Conference is the oral presentations followed by rather informal discussions during poster sessions. This International Conference will be the next one of a series of very successful meetings that were held during the last 32 years in Minsk, Vilnius and Kyiv. This is a preliminary conference program that may undergo some minor changes. The deadline for paying early bird registration fee by bank transfer is April 20, 2019 . The regular conference registration fee covers: admission to the conference sessions, conference materials, conference welcome party, lunches during the conference, coffee-breaks, and social program. The conference Registration fee should be paid by all participants including invited and plenary speakers. Accompanying person’s registration fee covers the same points, as the regular one, except conference materials, and provides a full access to all the conference activities. The payment can be done at the registration desk or by bank transfer (see the details below). If you need invoice for registration fee payment, please request the Organizers by E-mail. At registration desk, we are limited to accepting the registration fee only in Belarussian rubles (BYN; 1 EUR = 2.4 BYN). There are currency excange offices near the conference venues, however, to make the registration process smoother, we encourage you to prefer the bank transfer type of payment. Beneficiary: The State Scientific Institution "B.I.STEPANOV INSTITUTE OF PHYSICS OF THE NATIONAL ACADEMY OF SCIENCES OF BELARUS"
Beneficiary Bank: Joint Stock Company "Savings Bank «Belarusbank»"
Payment purpose: ICQOQI-2019 fee for "your full name"
Оплата орг. взноса может быть осуществлена в RUB по курсу Нац. банка на день оплаты. Назначение платежа За участие в ICQOQI-2019 "Имя и фамилия участника"
All participants of the Conference, presenting invited (oral) or regular (oral or poster) contribution or participating without a presentation, should be registered on-line. Please fill in the form below. For invited speakers only. Common registration is closed. Affiliation The speaker's affiliation name (without address), which will be displayed on their bage. Address The speaker's affiliation address, to which correspondence can be sent. Will you attend the conference dinner? Invited speakers should also specify preffered presentation type. Presentation title Please, Use Title Case, When All Words Except Artilces, Prepositions and Conjunctions Start from a Capital Letter, Like in This Sentence. If left blank, the data from "Given name" and "Family name" fields will be used. If left blank, the data from "Affiliation" and "Address" fields will be used for all authors. Presentation abstract The body of the abstract without its title, authors, references, and figures. The volume of the abstract body must not exceed 3000 characters. All formulae must be in TeX form. All paragraphs must be separated by a blank line. 1. A. Einstein, B. Podolsky, and N. Rosen, Phys. Rev. 47, 777 (1935). 2. R. J. Glauber, Phys. Rev. 131, 2766 (1963). Uploaded figure: No uploaded files. Upload a new figure You can upload one figure to be included in your abstract. Successful upload of a new fugure will override the previous one. Supported types are .jpg, .png, .eps, and .pdf. The size of the figure must not exceed 2 MB. Do not use this field to upload your abstract, use the "Presentation abstract" field above. Figure caption Here you can provide a caption for the uploaded figure. It must be in TeX form, its volume must not exceed 1000 characters. 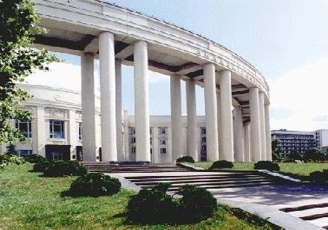 This International Conference on Quantum Optics will be the next one of a series of very successful meetings that were held in Minsk in 1986, 1988, 1990, 1992, 1994, 1996, 1998, 2000, 2002, 2004, 2006, 2015, 2017, in Vilnius in 2008, and in Kyiv in 2010 during the last 32 years. Below is the information about these events. 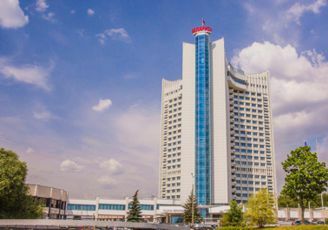 XVI International Conference on Quantum Optics and Quantum Information will be held in Minsk, Belarus on the base of Presidium of NAS of Belarus (Monday, May 13) and Hotel “Belarus” (Tuesday, May 14 – Friday, May 17). 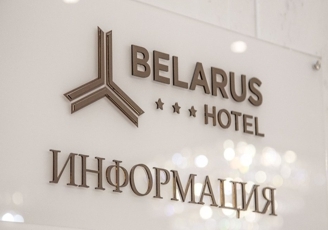 We suggest you to choose Hotel "Belarus" for your accommodation, because the most part of Conference sessions will be there. You can make your reservation by usingbooking page of the hotel site or booking.com, or by contacting the hotel administration directly by phone, fax or e-mail. We are happy to announce that, according to Presidential Decree “On establishment of VISA-FREE ENTRY and exit of foreign nationals”, foreign citizens of 74 countries (including most European countries, Australia, USA, Japan, etc.) can enter Belarus for up to 30 days without getting visa. The Decree applies to people, who enter Belarus and exit from the country only through the State border checkpoint of the Republic of Belarus “Minsk National Airport” (except for flights from/to the Russian Federation). Additional information can be found on the site of the Ministry of Foreign Affairs of the Republic of Belarus. If you need a visa to enter Belarus (e.g. if you want to enter Belarus by train or through Russia), the Organizing Committee will prepare and send you an official invitation letter, satisfying all the requirements of the Ministry of Foreign Affairs. to present valid documents (a valid ordinary passport or another substituting document for traveling abroad; financial means: at least 25 Euro (or equal amount in dollars or Belarusian rubles) for each day of stay; medical insurance with coverage for at least 10,000 Euros that covers the territory of Belarus). Citizens of certain countries have the right of visa-free travel in Belarus without the limitations listed above. 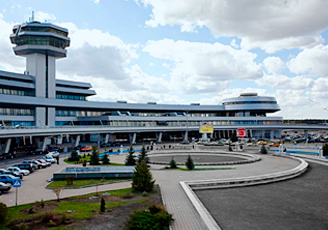 The transfer from Minsk International Airport (MSQ) to the Conference venue will be organized. We would appreciate sending us (icqoqi@ifanbel.bas-net.by) the information about you arrival and departure dates, time and flight numbers for organization of the transfer and conference registration. We suggest you to visit The Bolshoi Theatre of Belarus for "Swan Lake" (Pyotr Tchaikovsky) on Wednesday, 15 of May. Pyotr Tchaikovsky "Swan Lake" is a ballet in three acts. The tickets will be distributed at the Conference registration desk. The ticket is included in the registration fee. 2019 CQOQI, B.I.Stepanov Institute of Physics, NAS of Belarus All Rights Reserved.